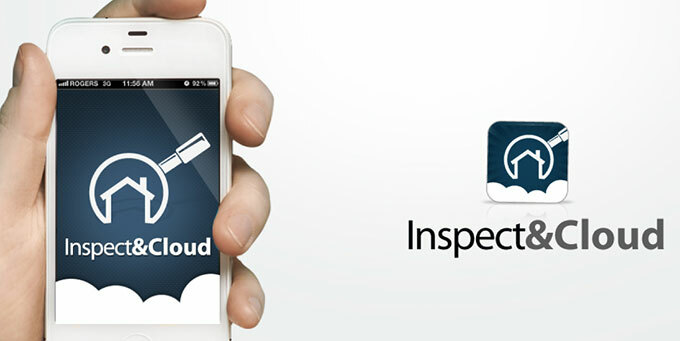 Austin, TX – May 10, 2013 — Inspect & Cloud (http://inspectandcloud.com), an industry leader in property management inspection software and technology, has released an innovative property management inspection software and app that property management companies are raving about. With the economic pressures of brokers wanting to cut expenses in their management operations, they are turning to technology to accomplish this. “We’ve had one Texas broker cut their staff from a 3-4 part time inspector team, to 1 full time inspection employee for a 635 unit portfolio,” said Jon Ray, Inspect & Cloud VP of Marketing & Development. Conducting property inspections on rental properties, apartment buildings, homes, etc is crucial for a property management company of any size big or small and it can be difficult for a broker/owner’s time to manage this process. “The industry has spoken and the advancement of mobile devices have prompted property management companies to want to utilize their tools they already carry on a daily basis.” said Ray. Inspect & Cloud allows property managers and management companies to use their mobile devices they already have, such as their mobile phone or iPad to inspect using touch check boxes, auto text comments, and photos to create an organized professional report. This report can then be accessed anywhere online when they need to view, print, or email the report directly to the property owner on the spot with their company’s branding. Broker/Owners are then able to manage their inspectors by seeing what inspections their staff are completing on a map and what time they completed the report. Rather than having to drive back to the office or manage the storage of all the property photos they can access these photos anywhere and use them for advertising. Inspect & Cloud allows property managers to keep track of a properties condition history and allows us to document this information for the tenant move in/out process. This is important when we need to keep track of accurate accountability of any damages. “Its like a Facebook for our property inventory except it makes us more productive and accurate,” said Meadows. Its rare that employees won’t already have a smartphone that they use everyday. Since the inspections are uploaded onto an easy to use website, the broker/owner maintains master control over the information. Once the inspection is complete, none of the information is ever stored on the phone. The mobile device is only used as a tool to complete the job therefore it works out great for business owners who don’t want to supply expensive digital cameras, etc. Since the evolution of today’s smartphones such as the iPhone with its 8 megapixel HD camera, the industry is shifting to use more of these devices as time savings tools. Life may have just gotten much easier for property management brokers with the new Inspect & Cloud property management inspection software and mobile app. For more information about Inspect & Cloud or Property Management Technologies, visit InspectandCloud.com or contact Jon Ray by calling [888.960.6020], or via e-mail at [jon@inspectandcloud.com].